at decent prices, offered by AriaMedTour in all-inclusive tours. Looking for effective and affordable corneal transplant? You have to stay on a waiting list for months to get your surgery done? Not to worry. 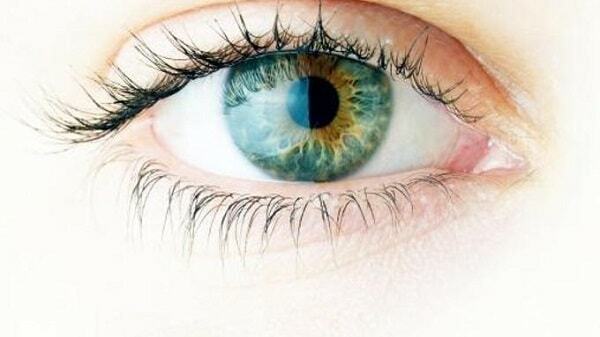 You can get a corneal transplant in Iran at the best prices without having to wait for a long time. To get a free consultation and price quote, fill in the above form, and to learn more about the surgery, keep reading. Hard conjunctiva in front of the eyes changes the transparent layer of the cornea. The cornea provides a clear vision and helps to focus light into the eyes, making vision possible. It also protects the eye from air pollution. To have a clear and accurate vision, the cornea needs to be healthy and smooth and be dome-shaped. A damaged cornea disturbs focusing light into the eye and leads to a glared vision. To treat this problem, some primary treatments are advised by some ophthalmologists. Yet, if the cornea cannot be healed or repaired, a corneal transplant is a solution; In a surgical procedure, damaged parts of the cornea is replaced with similar parts of a healthy donated cornea. Depending on what parts of the cornea are damaged, variable options of corneal transplantation surgery are available. If the exterior part or middle layers of the cornea are damaged, those parts can be replaced. If not successful, then the entire cornea may have to be replaced with a donated one. Cornea transplant surgery helps people with a highly scarred or swollen cornea restore their clear vision. In general, injuries, eye diseases, and infections may harm or scar the cornea. Previous eye surgeries can also lead to an impaired cornea. In some patients, cornea loses its fine curved shape and its uniform thickness deforming to a cone shape cornea (Keratoconus). These changes of the shape of the cornea bring the light out of focus and result in a blurry and distorted vision. Having keratoconus eyes makes daily tasks such as driving or reading difficult. Many patients may prefer treatment using contact lenses. Of the early surgical treatment for the keratoconus is placing Intacs rings into the cornea and flattening the steep part of the cornea. however, in some cases the disease becomes so significant that would require a long-term treatment. By corneal transplantation surgery, the abnormal part of the cornea is removed, and is replaced with a normal clear donated cornea. In some patients, cells of the inner layer of the cornea (Endothelium) lose their function. Endothelium pumps out excess fluid of the cornea and keeps the cornea transparent and clear. An unhealthy endothelium gradually diminishes the vision. One of the possible problems of corneal transplant is possible organ rejection. It happens when the body’s immune system rejects the transplanted organ as an external tissue and attacks it. In this case, the body’s immune system attacks the newly transplanted cornea. Especially, with a full-thickness cornea transplant, there is a slightly higher risk of organ rejection. If the first transplant is rejected, the patient may need more than one transplantation. However, with a repeated transplant there is a higher rate of rejection. In contrast, in partial cornea transplant, there is less risk of rejection. Having said that, the rejection might be stopped by taking medicines if noticed on time. Other side effects of cornea transplant surgery include eye pain, sensitivity to light, eye redness, infection, bleeding, detached retina and increased pressure inside the eye. Some side effects can also exist, even after the transplantation is successful. For instance, astigmatism can limit the quality of vision after the surgery. It is noteworthy that, depending on the transplant options, obtaining full recovery could take up to one year or more. Full-thickness transplant has a longer recovery period for the patient vision to completely improve. Based on patient’s specific needs, the surgeon will discuss and choose how to transplant the healthy donated cornea. Depending on what part of the cornea is damaged, that part can be replaced. Yet, for those whose cornea is affected, a full-thickness corneal transplant is unavoidable. In some persons, the outer layer of the cornea (epithelium) is scarred, or the middle layer (stroma) is damaged. For these patients, only those layers are removed and are replaced, which is known as a partial cornea transplant. In another procedure called endothelial keratoplasty, the innermost layer of the cornea (endothelium) is removed, then the new tissue is put in place, leaving much of the cornea untouched. The surgeon and the patient discuss matters before the surgery and the doctor listens to the patient’s complaints and expectations. Following the decision for the surgery and depending on whether the healthy donated cornea is ready (the donated cornea needs to be tested to be healthy and free of disease), a date is set for the surgery and the patient is informed. The surgeon, also, seeks patient’s medical history and tells the patient if he or she should continue with taking any medicine until the time of the surgery. Taking some drugs such as aspirins which thins the blood may need to be stopped before the surgery. However, primary physical exams or perhaps other tests may be requested to confirm that the patient is healthy enough to have the cornea transplant surgery. A corneal transplant does not require the patient to stay overnight. Before the surgery starts, eye drops and medications are applied to numb the eye and help to relax the patient. 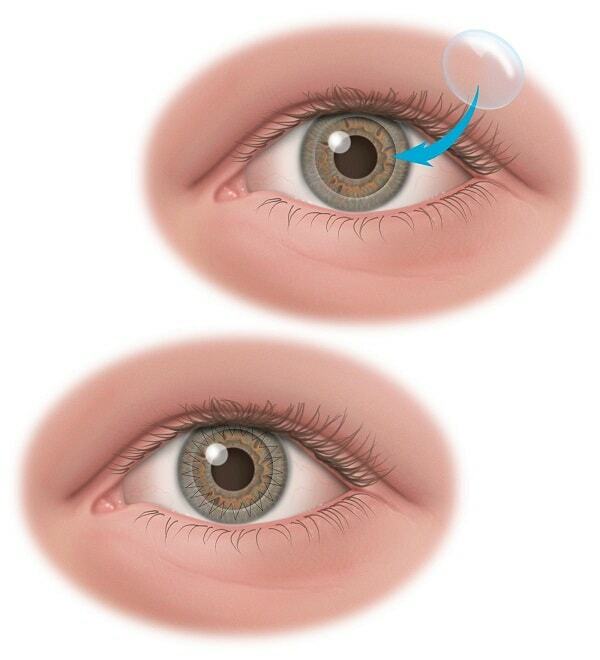 In the beginning, an eyelid speculum is used to keep the eye open as well as lubricating liquids, to prevent dryness. depending on the surgery options, a circular part or a very thin layer of cells from the cornea is separated by surgical devices and scissors. A portion of the donated cornea that matches the same portion of the affected cornea is cut and replaced. The new tissue then is stitched by suture and secured into the place. In inner partial transplantation, the impaired endothelium is removed and the inner layer of the healthy cornea is replaced on the back surface of the cornea. To help the implanted layer to stay attached, an air bubble is injected into the eye to push this new layer into the place. The last step of the surgery is taping a shield over the patient’s eye to keep it safe and covered. The patient is monitored after the surgery to make certain that he or she has recovered from the anesthesia to go home safely and with full consciousness. The day after the operation, a visit to the doctor is necessary for the eye to be checked. The patient will be instructed by the doctor about after-surgery care. Depending on how fast the patient is healed, the health of the eye, and the type of the stitches used, the doctor will decide when the stitches need to be removed. 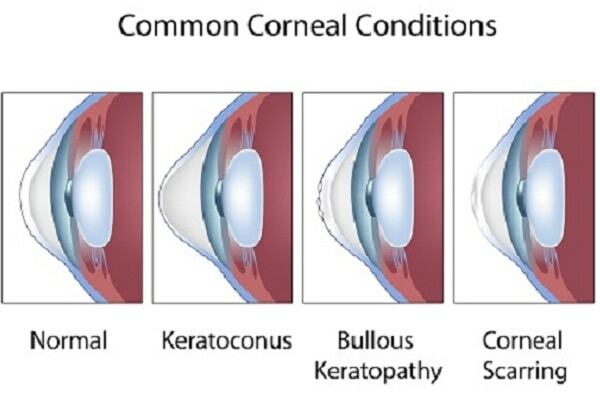 However, regarding corneal transplant, there is a significant recovery time during which constant care is required. If the patient finds out that he or she has cloudyor hazy vision, it could be signs of rejection of the new tissue. The ophthalmologist needs to be informed straightaway if any of these symptoms are seen. As the patient is recovering from the surgery, taking eye drops is necessary just the way instructed by the doctor. The treated eye must not be rubbed. The doctor will prescribe if any medicine or painkillers needed. The patient must wear eyeglasses or an eye shield to protect his or her eye for a time after the surgery. The ophthalmologist, also, will tell the patient when he or she can start his or her daily activities. 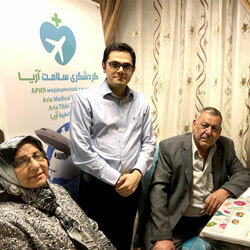 Iran is increasingly becoming a popular destination for medical health tourism. Patients from all over the world and countries in the region travel to Iran to benefit from highly advanced clinics, skilled medical practitioners and unbeaten surgical treatments. 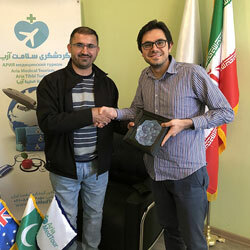 Iranian doctors and eye care professionals are among the best in this part of the world. They have developed some of the most advanced procedures and standards, using minimal surgical incision. Currently, there are many ophthalmology packages offered for various eye illnesses and operations, including Lasik surgery, cataract surgery, strabismus surgery, corneal transplant, retinal complication treatments, dry eye treatment, diabetic eye disease treatment, pediatric ophthalmology, etc. Depending on where the cornea transplant surgery takes place, costs varyconsiderably. Clinical services contribute to corneal transplant cost as well. As eye surgeries are quite important, it is wise having a comprehensive research and obtaining adequate information beforehand. 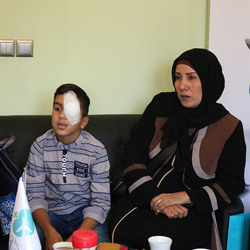 Corneal transplant is an outpatient procedure in Iran and normally costs around $2,700 for each eye. In the US, cost of the corneal transplant surgery who are not covered by health insurance might range from $13,000 to $27,000. Considering the risk of organ rejection, the ultimate cost can increase further. To learn about the updated cost of corneal transplant in Iran, as well as information regarding booking a surgery appointment, please contact us via the online form or on any of the communication portals provided below.